Australia is an amazing tourist destination offering visitors a huge variety of attractions and activities for all tastes and ages. Sun and surf are available in abundance and most sun worshippers will want to head straight to famous Bondi Beach to bag their share of the action. 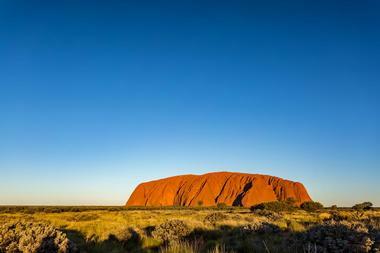 If you prefer mountains to seascapes, you can add the beautiful Blue Mountains and mysterious Uluru to your list of must-see destinations, while snorkelers and scuba divers will not be able to resist the lure of the magical Great Barrier Reef. 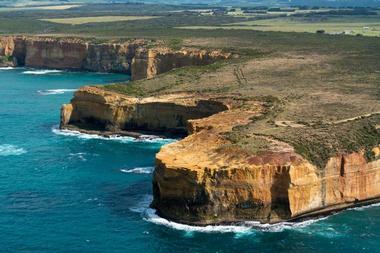 You can see some of the highlights by taking a scenic drive along the famous Great Ocean Rd or the Sunshine Coast. Australia’s cities are full of wonderful parks and gardens, excellent markets, and brilliant art galleries and museums, and in Sydney you can tour the iconic Sydney Opera House and the Sydney Harbour Bridge. Australia’s famous Great Barrier Reef needs no introduction and occupies pride of place at the top of most visitors’ must-see list. The amazing reef (the largest in the world) is made up of over 3,000 separate reef systems and dozens of beautiful, inviting tropical islands surrounded by azure waters teeming with marine life. 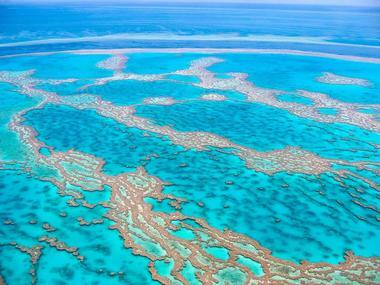 You can access this wonderland from several coastal cities, including Cairns, Townsville, Rockhampton, and Mackay. Activities at the Great Barrier Reef are generally centered on the amazing marine life, which draws snorkelers and scuba divers – if you prefer to keep your feet dry, you can join a tour on a glass-bottomed boat instead. Boating, sailing, scenic helicopter flips, and simply relaxing on the beach complete the picture. 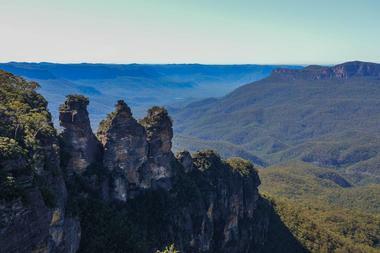 The beautiful Blue Mountains region is located is New South Wales, bordering the Sydney metropolitan area, and offers locals and visitors an ideal escape from the city. The region comprises beautiful landscapes dotted with charming small towns and villages and the chance to enjoy a wide variety of outdoor pursuits, including scenic drives, hiking and cycling, horseback riding, and several adventure sports such as abseiling and canyoning. There is also an extremely high scenic cable-car ride and a scenic railway to enjoy. You can explore 29 of the regions’ attractions on the hop-on-hop-off Blue Mountains Trolley Tour or take a self-guided drive. In addition to all the above attractions, there are caves to explore, relaxing spa experiences, and antiques and crafts to be uncovered. Everyone has heard of Australia’s iconic Bondi Beach, which welcomes over one million visitors annually. The famous beach forms a golden crescent of soft sand surrounding the clear azure waters of the Pacific Ocean and is the ideal place to spend a surf and sun vacation. 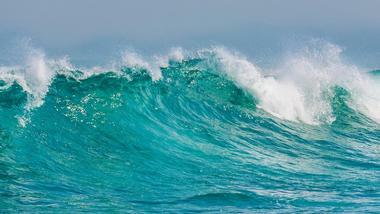 The protected waters of the bay are great for surfing and beginners can take lessons with Let’s go Surfing. If ocean bathing is not quite your thing, you can swim in two wonderful surf-side pools or enjoy walking along the 2.5-mile Bondi to Bronte coastal walk, which meanders along the cliff tops overlooking the beach. The entire Bondi Beach area is packed with excellent restaurants and shopping, and the Saturday Bondi Farmer’s Market should not be missed. 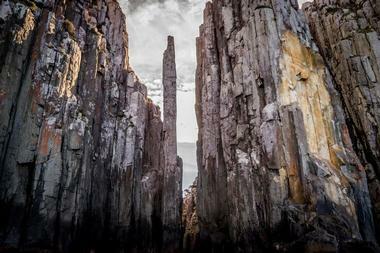 Towering over 900 feet over the brilliant waters of the Pacific, the Cape Pillar Sea Cliffs are a must-see attraction for all visitors to Tasmania, which lies off the coast of mainland Australia. These dramatic sea cliffs are the tallest of their kind in the Southern Hemisphere and are protected within the Tasman National Park. You can visit the spectacular cliffs on a boat tour out of historic Port Arthur, or do it the hard way and hike to the cliffs along the 25-mile Cape Pillar Circuit (a 4-day adventure), which will reward you with unsurpassed views of not only the Cape Pillar Sea Cliffs but also Cape Hauy, Monument Lookout and Tasman Island. Daintree Rainforest/a> invites visitors to indulge in some genuine ecotourism as they seize the unique opportunity to visit the World’s oldest surviving rainforest, located 100km northwest of Cairns on the east coast of Australia. The pristine and completely natural old-growth rainforest is a privately owned conservation initiative run by long-term inhabitants who are dedicated to sharing their knowledge and their rainforest with nature lovers. You can choose from several guided interpretive tours, which range from 2 to 5 hours, some of which include a cruise through the mangrove swamps, lunch, and afternoon tea. 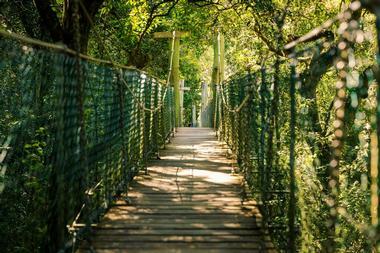 Along the way you will meet some of the very special animals, plants, and insects who inhabit this heritage site. 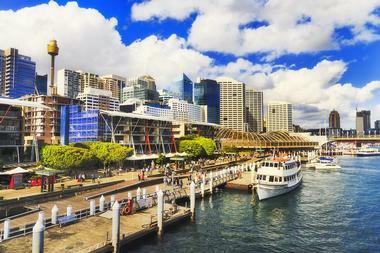 Sydney’s amazing Darling Harbour is more than just a dockyard – this waterfront area is home to many of Sydney’s prime attractions and is where locals come to be entertained, educated, wined, dined, and rejuvenated; it is an absolute must-see attraction for all visitors to the city. You have a wide range of activities and attractions to choose from, including cinemas, harbor cruises, the Australian National Maritime Museum, Madame Tussauds, Sea Life Sydney Aquarium, and the amazing Powerhouse Museum, which showcases science and technology. If all this is not enough, you can also visit several theaters and galleries, dine at numerous waterfront restaurants, and shop until you drop – the Hello Sydney! Shopper Hopper will take you from one great shopping area to the next. 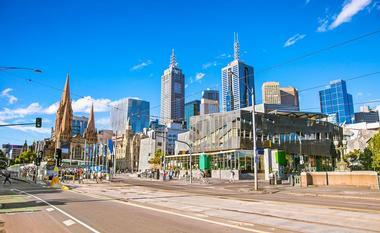 If you are planning to visit Melbourne, you need to put Federation Square on your list of must-see attractions. This 3-hectare city development includes St. Paul’s Court, The Square, and The Atrium and is the entertainment, cultural and artistic hub of the city. An ideal way to get your bearings and learn all about the Federation Square history and attractions is to join the 11:00am free tour (Mon-Sat). Highlights of your visit will include ACMI (Australian Centre for the Moving Image), the NGV Design Studio, the Ian Potter Centre (Australian Art), and Kirra Galleries for fine glass art. You can rent a bike to tour the area or hop aboard a Yarra River Cruise to explore the city from a different perspective. The Gippsland Lakes are an enormous network of beautiful inland lagoons, marches, and lakes which cover an area of over 230 square miles located between Ninety Mile Beach and the ocean. In this tranquil environment you will have an astonishing variety of beach activities to keep you occupied, including boating, sailing, canoeing, kayaking, wind-surfing, fishing, and sailing. 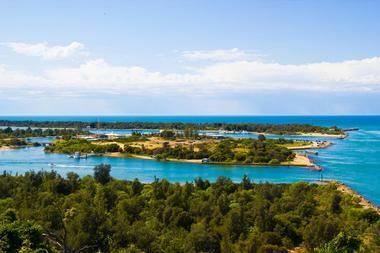 The calm waters of the lagoons are perfect for children and the entire area is a popular summer vacation destination. Nature lovers will be able to view a wide variety of birds and other wildlife, including lagoon dolphins, and you can visit Rotamah Island by boat to see wallabies and kangaroos in their natural environment, while Raymond Island is home to a koala colony. When conditions are perfect you may be able to witness blue glowing waters at night caused by bioluminescent organisms. 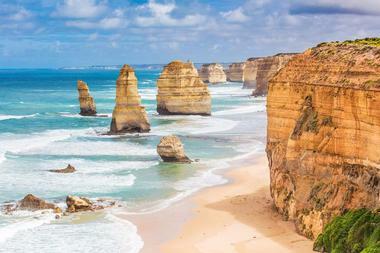 The Great Ocean Road region of Victoria is where you can embark on the famous Great Ocean Road Scenic Drive, a brilliant 413-mile adventure along the magnificent coastline of southern Australia. The route stretches from the town of Torquay (90 minutes from Melbourne) to Nelson, on the south Australian border. You can complete the route in 3 days, but allowing yourself 5 or even 7 days will give you more time to enjoy the wide variety of exciting activities available en route. Highlights of your tour could include renting a bike and cycling along the rugged seashore, donning hiking boots and exploring waterfalls and forests, going on a zip-line tour or simply enjoying the incredible coastal scenery and the wonderful restaurants along the way. 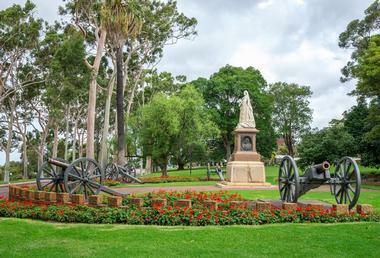 Nestled in the heart of West Perth, Kings Park is one of the largest inner-city parks in the world, offering locals and visitors an oasis of green within close proximity to the city. The park is filled with outdoor attractions for all ages, including several children’s playgrounds, picnic areas, outdoor cinemas, and theaters. You can visit the excellent West Australian Botanical Garden to see thousands of species of endemic Australian plants – children will particularly enjoy the Rio Tinto Naturescape. A large section of the park has been reserved as native bushland and you can explore on foot along various hiking trails. You can easily reach Kings Park using public transport from the CBD, and the visitors center offers free walking tours and information. 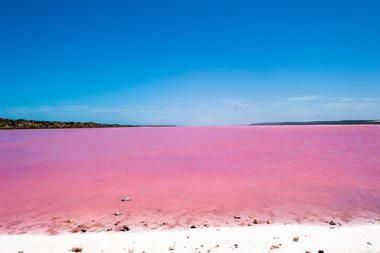 Located on Middle Island, which forms part of the Recherche Archipelago off the southern coast of Western Australia, Lake Hillier is a fascinating bright pink lake that has to be seen to be believed. The color of the lake is thought to be caused by a high salt content combined with the presence of a special species of algae, but this has not been conclusively proved. The best way to see this freak of nature is on a helicopter tour or a boat cruise, both of which are available from the coastal town on Esperance, which is a stop along the famous Great Ocean Drive. Unfortunately, the lake itself is off-limits to visitors but the remainder of the Recherche Archipelago offers amazing opportunities for swimming, snorkeling, and scuba diving. Art lovers are in for a treat in Melbourne, where the excellent National Gallery of Victoria invites visitors to step inside and be blown away by their remarkable collection of fine art from Europe, Asia, Oceania, and America. The nearby Ian Potter Centre at Federation Square is also a part of the NGV showcasing only Australian artists. 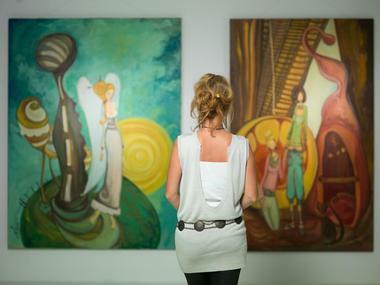 You can join free 45 or 60-minute guided tours (at both venues) of the gallery highlights or explore at your own pace. The good news is that entrance to both NGV venues is free, although you will need to pay to see the regularly rotating special exhibitions. 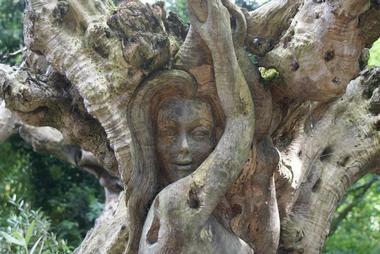 Both venues feature a great arty shop and places to dine or have a snack. 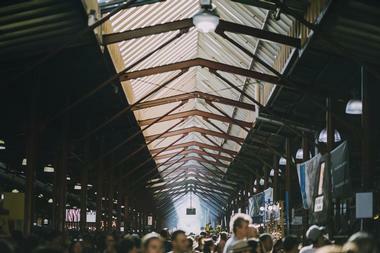 The Queen Victoria Market is more than just a food and craft market – for more than a generation this Melbourne landmark has been a favorite shopping destination for both locals and visitors and is the largest open-air market in the Southern Hemisphere. To get your bearings (and whet your appetite), you can join a free 10-min orientation tour offered several times a day. You will find everything from handmade crafts, clothing, and fresher-than-fresh foods, both to take home and freshly prepared on site. Foodies can sign up for the popular Queen Vic Market Ultimate Foodie Tour to taste some of the many specialties and to meet the traders. The market is open daily except for Mondays and during winter you can attend the regular Wednesday Night Market for great food and entertainment. 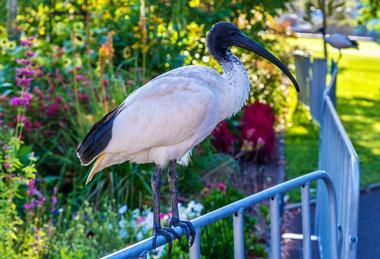 More than just a garden, the Royal Botanical Gardens Victoria represents a snapshot of Australian biodiversity and offers the public a glimpse of how plants and habitats affect our world. The RBCG is spread over two separate locations, one in Melbourne and the other in Cranbourne – together they showcase a remarkable collection of over 200,000 individual plants. The Melbourne gardens have plants from all over the world, while the highlight of the Cranbourne gardens is the amazing collection of native Australian plants. You can hop aboard the open-air Garden Explorer for a hop-on-hop-off tour at both venues and both the gardens hold regular special exhibitions, workshops, and events. 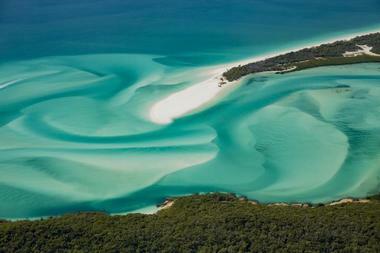 Australia’s famous Sunshine Coast is located north of Brisbane on the east coast of the country. The Sunshine Coast boasts everything and more that you would expect from a popular coastal holiday destination and welcomes both locals and visitors to come and enjoy surf and sun. At the northern extreme of the Sunshine Coast you will find the Great Sandy National Park, where you can explore colorful sand dunes, wetlands, and mangrove forests. The entire stretch of this beautiful part of the country is home to endless beautiful beaches, rainforests, picturesque coastal towns and villages, and just about every outdoor activity you can imagine. A scenic drive along the length of the Sunshine Coast is the best way to reveal all the hidden gems. The iconic Sydney Harbour Bridge is one of Australia’s most visited attractions and a must-do activity for all visitors to the city. Reaching a height of 459 feet, the bridge is the largest of its kind in the world, connecting Sydney’s northern suburbs to the city center. 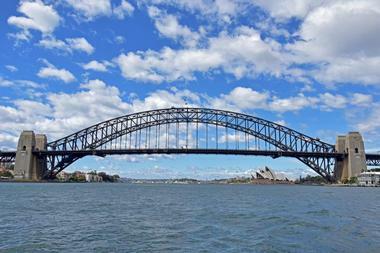 There are many ways for visitors to see this famous bridge, including BridgeClimb Sydney, where you have the chance to climb up to the very top of the structure. If you hate heights, you can still walk across the bridge using the pedestrian walkway (wire-mesh enclosed) for wonderful views of the Sydney Opera House and surrounding areas – be sure to visit Pylon Lookout for 360 degree views. You could also go on a helicopter or ferry ride, or hire a kayak and see the bridge from below. At Taronga Zoo you will have the chance to meet some of Australia’s wonderfully unique animals as well as creatures great and small from all over the globe. 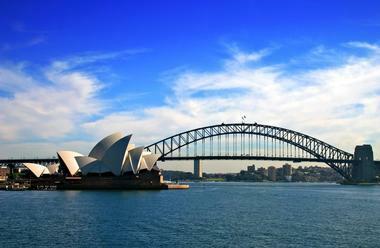 In addition, the location of the zoo boasts brilliant views of the famous Sydney Opera House and Sydney Harbour Bridge. To make the most of your visit, you need to do some planning – there are free keeper talks and tours every half hour – be sure to prioritize your main interests by downloading the free Taronga Sydney Zoo App. A few of the highlights of the zoo include the Elephant Stilt-house Experience, the Seal Show, the Penguin Encounter, and the Australian Walkabout Tour. 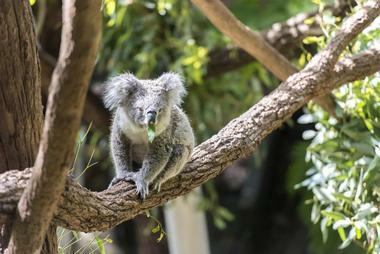 Taronga Zoo is easy to access by ferry from Circular Quay. 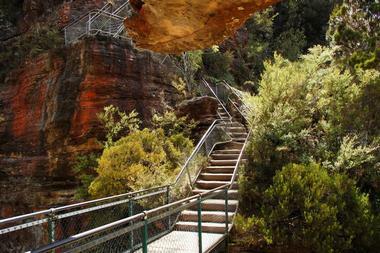 If you plan to visit the beautiful Blue Mountains near Katoomba (just a 90-minute drive from Sydney), you definitely need to put the Giant Stairway on your to-do list. This remarkable stairway comprises over 800 stairs and walkways, some metal and some hand-hewn out of the cliff face, which rise over 1,000 feet from the Jamieson Valley to the Echo Lookout Point below the famous Three Sisters rock formation. The moderately strenuous walk will reward you with amazing views and you can pack a picnic to enjoy along the way. The good news is that you will not need to climb back up to your starting point – you can jump aboard the historic scenic railway (one of the steepest in the world) to ride back up to the top. Australia’s Northern Territory is a huge expanse of spectacularly beautiful landscape, full of wildlife, amazing landforms, and rich Aboriginal heritage. 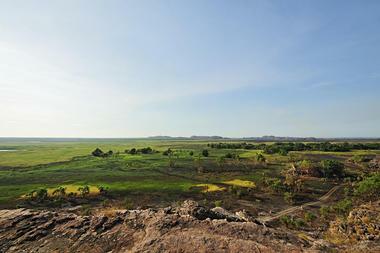 Lords Safaris have been taking private guided tours through Kakadu as well as Arnhem Land since 1990. They have developed an excellent reputation that allows them to bring tourists to special areas in Kakadu National Park, such as mystical Aboriginal lands called Arnhem Land and Koolpin Gorge. Lords often employ Aboriginal guides for their tours. They have their own luxury camp in Kakadu that can accommodate up to 12 people. Lords will show you the Northern Territory in a way that tourists normally don’t get to experience, away from the beaten path, through wild gorges, past massive waterfalls and deep rock pools, giving you the time of your life. Phone: 0438-808-548. Located 7 kilometers east of Port Campbell and protected by the Twelve Apostles Marine National Park, you will find the famous golden cliffs and eroded rock stacks that make up the iconic Twelve Apostles. There are several ways to explore and enjoy the unique landscape and seascape that surround the Twelve Apostles – you can start at the visitors center in Port Campbell, where you can arrange a tour or get maps for a self-guided tour or hike. The waters around the rock stacks offer some of the best snorkeling and scuba diving in the area and local dive shops offer excellent excursions, including wreck dives. You can also spend some time walking in the Marine Park, where bird watching is particularly good. 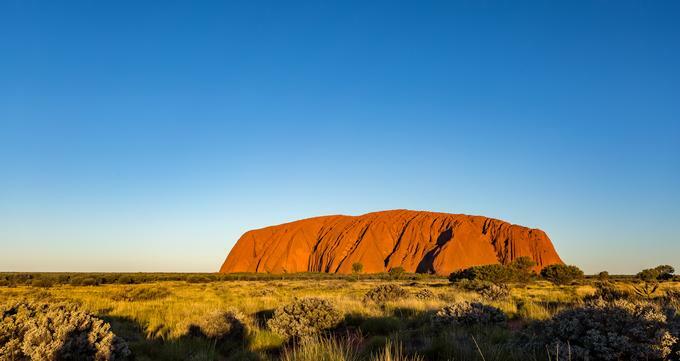 Located in the Northern Territory (almost in the center of Australia), Ayers Rock is widely considered to be the spiritual heart of the country and is a sacred site to the local Aboriginal tribes, to whom it is known as Uluru. The massive monolith is one of the most easily recognized landmarks in the country and attracts scores of curious visitors each year. You can take your pick from a variety of tours and experiences on offer, including helicopter tours, camel-back tours, Aboriginal Cultural Experiences, Sunrise and Sunset Experiences, and much more. It is also possible to explore on your own – you can hike around the base, which is around 6 miles. Adventure activities such as hot air ballooning and skydiving are also available. Whitehaven Beach is a pristine gem located on Whitsunday Island in the heart of the magical Barrier Reef off the coast of Queensland. What makes this 4-mile stretch of beach so special is that the pure white sands are composed largely of pure silica, which is responsible for the striking color and fine grains of the beach sand. Visiting Whitehaven Beach is an adventure in itself – you can fly in by helicopter or sea-plane from Hamilton Island or approach by water either under sail or on a catamaran or rafting tour from Airlie Beach. Both of the latter options usually include stops along the way for snorkeling. If you can drag yourself off the beach for a while, try hiking up to Hill Inlet for stunning views. 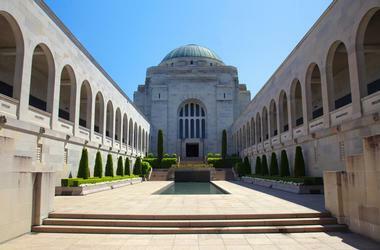 You can gain a deep insight into the courage and history of Australia’s fallen war heroes at the Australian War Memorial in Canberra, 3 hours southwest of Sydney. The memorial encompasses a shrine to fallen Australian soldiers, a fascinating museum (for all ages), and an extensive archive for scholarly visitors. You can tour the memorial at your own pace or join of one of the 30 min, 60 min or 90 min tours, which are guided by enthusiastic volunteers. The memorial hosts regular exhibitions, talks, and speeches and children will enjoy the discovery zone. You can have a meal or snack at one of two on-site restaurants and buy a souvenir or two at the gift shop.